Careers in nutrition can provide employment in a number of different environments and offer a high salary for several types of managerial positions such as master nutritional therapist, health care manager and nutrition therapy practitioner. 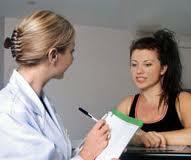 As a nutritionist you can work in correctional facilities, nursing homes, hospitals, fitness centers and health clubs. Advancement opportunities in this field will depend on the nutritionist’s level of education. A nutritionist will treat clients that are suffering from heart disease, obesity, and diabetes and kidney failure and can manage the food service department of a clinical institution. A community nutritionist will work in home health agencies, public health clinics and health maintenance organizations. The community nutritionist will educate people on healthier food alternatives, nutritional habits, how to shop and meal plan and how to prepare food for low sodium, low fat or low sugar diets. There are currently careers in nutrition in marketing and advertising that has the nutritionist preparing literature for food distribution, dietary supplements and even recipes. Working in a large facility such as a jail, school or medical facility requires the nutritionist to not only meal plan but to also supervise the kitchen staff, working as a manager. In this type of position the nutrition is also responsible for enforcing state sanitation regulations and health and safety requirements. The kitchen supervisor will also hire and train kitchen staff and manage the monthly food budget. The consultant nutritionist will help clients with issues such as obesity, high cholesterol and diabetes. This is done by administering nutrition screenings that allow the nutritionist to analyze their client’s needs. This type of nutritionist will work under contract for health care facilities or they will own their own practice. As a master nutrition therapist you will have a large variety of positions to choose from such as health care manager, health foods grocer, health foods advisor and nutrition coordinator. A nutritionist therapy practitioner will use their education to expand their practices as a health care professional by applying their expertise and can work by consulting professionals such as herbalists, acupuncturists, personal chefs, fitness trainers, yoga instructors, massage therapists, chiropractors and pharmacists. To get a jump start on this career field you can take courses in high school for chemistry, health, biology, mathematics and diet and nutrition. To work as a nutritionist you will need to have an associate’s degree or a bachelor’s degree. The degree programs will require the student to partake in an internship program at different types of medical facilities and institutions, in order to qualify for certification exams. The degree programs will typically require the student to obtain 900 hours of supervised practice under the supervision of a licensed nutritionist or dietitian. A student can choose to work as a full time intern for a six to twelve month period, or they can choose a part time internship which will take two years to complete. Many states will not require a nutritionist to be licensed, in which case those that have obtained a degree in this field should take the ADA exam to earn credentials as a certified nutritionist. For states that do require a nutritionist to be licensed you will need to take state certification exams. As a nutritionist you will have the option to specialize in different areas of the field such as renal dietetics, geriatric nutrition or diabetic diets. Some nutritionists will choose to work in sales for equipment, food manufacturers or pharmaceutical companies. Other nutritionists will focus on obtaining supervisory roles for positions such as department director, lead nutritionist, and associate director.